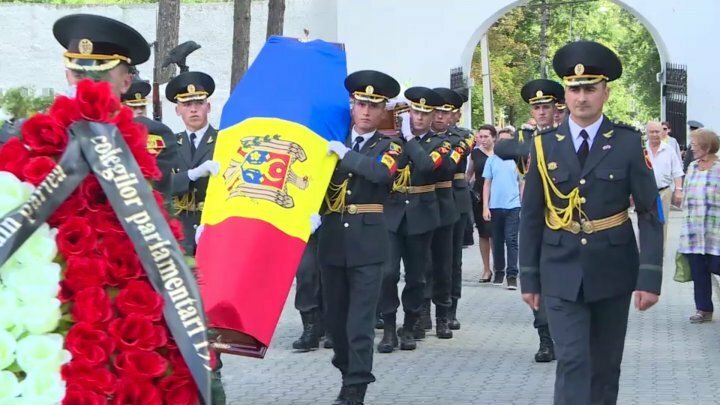 Former Parliament Speaker Dumitru Moţpan is on his last path today. The coffin with the inanimate body was deposited at the Palace of the Republic. Along with the family, the friends, colleagues and everyone who met and appreciated him came to the ceremony. "He was the founder of this state, and he was a state-runner." Dumitru Moţpan served as Deputy Speaker of Parliament in 1994-1997, after which for one year he was chairman of the Legislature. He was also deputy in the first Parliament and was a signatory of the Declaration of Independence, being decorated with the Order of the Republic. Dumitru Moţpan was born in 1940 in the village of Selişte from Nisporeni district. He is buried at the Central Cemetery on Armeneasca Street in the Capital.